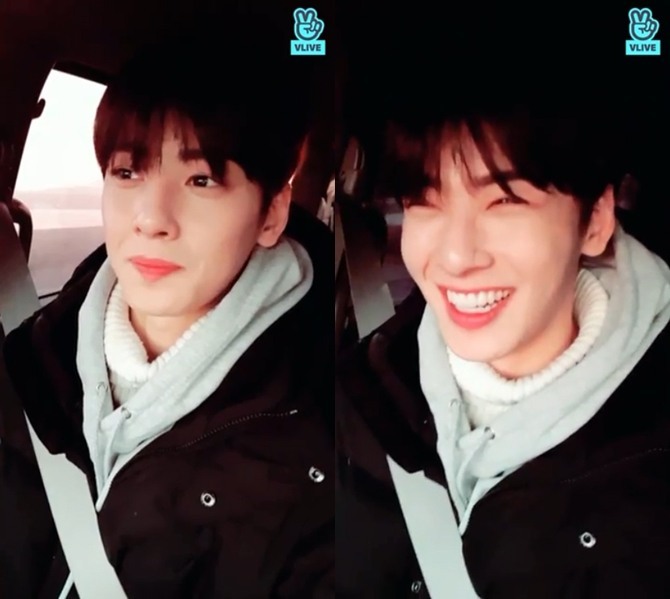 Cha Eun-woo of boy band Astro took to the V app Saturday to bid farewell to MBC’s weekly music show “Show! Music Core,” which he had hosted for about 17 months starting from October 2016. “I’m currently on my way back home after finishing my last episode of ‘Show! Music Core,’” he said, starting up the broadcast. “I don’t feel it’s real that it is the last. I’ve hosted ‘Music Core’ for about 1 1/2 years and came to Sangam-dong (in Seoul) every Saturday, but today is the last day. … I am not sure how I feel at the moment,” he said. “Well I feel bittersweet but there were Arohas (Astro’s fan club name) who came here in person to support me and also those who supported me via television or social media. I think I could be here today thanks to them. Thank you,” he said. “After the rehearsal, while waiting for the live show, I watched the very first show I hosted. And I couldn’t watch it, as I was so clumsy. Compared to that, I think I learned a lot and I grew a lot,” he added. K-pop boy band Golden Child released a video featuring snippets from its second EP “Miracle” via the V app Saturday. 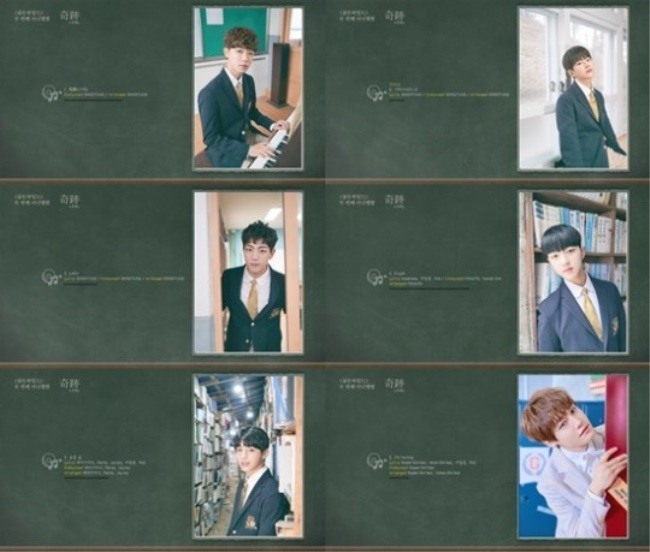 “Miracle” is to be released Monday at 6 p.m.
Golden Child debuted with its first EP “Gol-Cha!” in August last year as an 11-member act consisting of Lee Dae-yeol, Y, Lee Jang-jun, Tag, Bae Seung-min, Bong Jae-hyun, Kim Ji-beom, Kim Dong-hyun, Hong Joo-chan, Choi Bo-min and Park Jae-seok. Earlier this month, Park left the group due to health issue. Project boy band JBJ released behind-the-scenes footage of the music video for “My Flower” on Naver’s V app Saturday. The video showed the JBJ bandmates teasing each other on set. Kenta tried to pledge something for when the song wins on a music show, but his bandmates teased the Japanese member for his pronunciation, pretending as if they could not understand what he was saying. The second season of “Produce 101” brought together 101 male trainees to compete for spots in a new group. The six members of JBJ failed to secure spots in the final 11-member group, but proved popular thanks to the show’s exposure, which led to their debut as a project group.